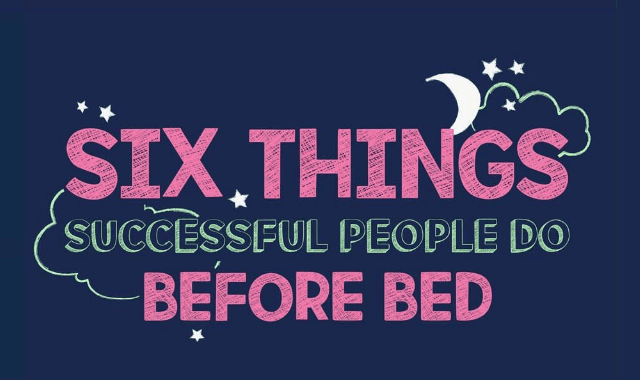 Six Things Successful People Do Before Bed #Infographic ~ Visualistan '+g+"
Have you been struggling at work recently? Feeling exhausted and finding it difficult to motivate yourself? Or even finding yourself more emotional or more likely to snack on food? Your sleep, or lack thereof, might be having more of an effect on than you think. The Sleep Matters Club has come up with a few tips to help you get a full night’s rest and consequently have a productive following day because a good night’s sleep sets you up perfectly for whatever’s ahead.